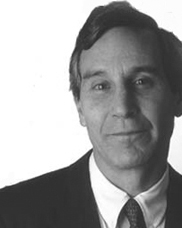 “I still find some bloggers unwilling to acknowledge the positive role played by PR people; we are sometimes demonized as floggers or worse,”Â Richard EdelmanÂ says in the following interview with PRBlogNews. Richard Edelman (right) is the CEO of the firm that bears the familyÂ name. Richard is the son of Daniel J., the founder and architect of the world’s largest independent public relations firm (by far), with nearly $325 million in net fees last year.Â In September 2004 Richard launched a blog called 6AMÂ that secured his personal imprint on the firm, signaled a big move into the blogging/PR 2.0 space,Â and presaged the new era of Pioneer Thinking. From a branding and financial perspective, Pioneer ThinkingÂ has been a stellar success. Edelman net fees grew nearly 24% last year, three times the rate of the number two independent, Ruder Finn (according to O’Dwyer’s).Â Edelman isÂ the hot shop in PR. That success has come with a great deal of scrutiny, public analysis, and a constant stream of criticism. Richard Edelman’s drive to spread the mantra of the “horizontal conversation” through its many practices and 46 offices worldwideÂ has been hampered by persistent questions about its tactics and operations. Edelman takes a thumpin’ inÂ the April 2 story on Wal-Mart in theÂ New Yorker, the latest in a string of stories that try to pierce the veil that cover Edelman’s strategies and tactics.Â ConsideringÂ his constant posts that beg for understanding, it isÂ curious that Richard EdelmanÂ is still widely misunderstood. PRBlogNews: What investment did you make in Me2Revolution? Is it profitable? What obstacles, setbacks have you faced? How are you adjusting? Our obstacles have included concern about regulatory authorities (key point for our pharmaceutical clients who live with the FDA), a zero sum game mentality about budgets (in fact we are now shooting for the broader marketing budgets trying to take a bigger share of the total pie, not more from PR budget), and ambivalence about control of message versus need for spontaneity and originality. I still find some bloggers unwilling to acknowledge the positive role played by PR people; we are sometimes demonized as floggers or worse. We have adjusted by doing education of our account staff, continuing to provide a stream of products such as a social media press release, and helping our client base to understand the potential for this line of business by showing success stories. What is the most difficult barrier for an established agency to enter the PR 2.0/social media space? Where are the landmines? The most difficult barrier to entry for established agencies is the mental shift from talking from a set of messages to relating in a continuous dialogue. We must move from selling to listening then speaking. We also have to move from hourly pricing to value pricing because inspiration and ideas do not directly correlate to time spent. Is PR 2.0/social media a profitable service for PR agencies to offer? How difficult is it to measure results and show quantifiable, bottom line impact to clients. I believe this can be a profitable service for PR firms. We believe that there can be consulting revenue (scoping the market, recognizing the niche to be filled), revenue from arranging promotions with MySpace or other comparable entities, and helping to create professional content (example: how to plant tomatoes for Scotts Miracle Gro) or to update company web materials so there is a central source of credible information. Do you see “social media” infiltrating the rest of the EdelmanÂ organization? What is your role as CEO of Edelman? Social media is definitely infiltrating our organization. We did a meeting of our senior US team in Phoenix about a month ago. Each of eight teams was asked to include a digital aspect in their creative presentations on a specific client assignment. The most hysterical was a concept for Palm that included a video of two thumbs speaking about their overwork on Blackberry and their fantasy about moving to the 10 fingers available to type on a new Palm product. We are delivering quantifiable results, such as the 20,000 people who signed up for the virtual red ribbon for World AIDS Day in the UK as a result of our work with MySpace. Looking for that hot new PR job? Check out the PRBlogNews Job Boards and find that perfect position in New York, San Francisco, Chicago, Atlanta, and many other areas. Strumpette promulgates a theoryÂ that Me2Revolution has replaced the media and is engaging in “surreptitious selling.” I’m sure you’ve seen the post I refer to. What does Me2Revolution do and how is it different from traditional public relations? Do you, or others, have any reservations about the morality of social media in public relations? There is no surreptitious selling at our firm, in the on-line or off-line worlds. We have specific rules of engagement, namely identification of the firm, of the client we are serving, of our reason for being in touch, and of the spokesperson from the client or third party organization. The key difference from classic media relations, where we are the middle man setting up interviews, is that a Me2 program might involve organizing a venue in which people can have their own discussions or put up their own content. I have no question about morality of social mediaâ€”in fact it is inherently democratic, self-correcting and responsive to its participants. I believe that the best public relations is about truth in the public interest. I reject the old stereotypes of spin, artifice and the black arts as largely being creations of 1990s politics, which correctly have been rejected by the private sector. Edelman overshadowed its clients Wal-Mart and Microsoft when its blog practices were questioned prominently in mainstream media. What lessons did you learn from that experience? Is PR 2.0/social media here to stay, or a fad? Will we see a transformation in public relations practices because of social media? investment has resulted in the biggest negatives of any PR firm on the Net (http://tinyurl.com/2jn3h4 ). It has been an indelible blemish on the Edelman brand. It is an embarrassment to the PR Industry. How long will Edelman’s involvement with social media last? That’s all about ego. How much will Richard pay to look silly? A lot apparently.